What are SentryOne Event Chains? Even for data pros who have mastered managing SQL Server jobs or Windows scheduled tasks, handling events across both environments can be difficult and time-consuming. With Microsoft SQL Server Agent jobs, you can automate routine administrative tasks, including running Transact-SQL scripts, command-line applications, SSIS packages, SSAS commands, and queries, or replication tasks. Identifying potential conflicts in scheduled events is difficult. especially in complex environments. For example, you might have a specific job or task that needs to run to correct a failure. Or you might need to ensure that backup jobs don’t run concurrently. When you add Windows scheduled tasks to the scenario, your job becomes even more difficult. You need the ability to efficiently manage events across the SQL Server and Windows environments so that even the most complex event chains execute successfully. This is where SentryOne comes in: our monitoring products simplify managing multiple SQL Server and Windows events, even in the most complex environments. Event Chains in the SentryOne Event Calendar helps you create workflows containing SQL Server agent jobs or Windows scheduled tasks from any server that you’re currently monitoring. Each event chain is a series of dependencies between events running on the same server or different servers. There’s no limit to the length of a chain or the number of events it can contain. 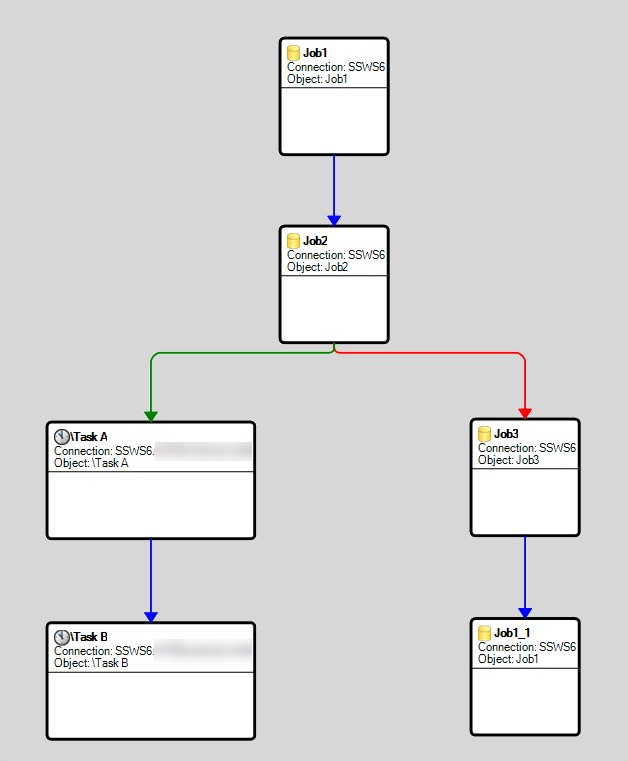 You can create workflows that continue conditionally based on the success, failure, or completion of the previous step in the workflow. You only need to schedule the first node of the event chain, and the following steps will be kicked off through SentryOne. Whether a step takes five minutes or an hour, the next step won't start until the previous one completes. These options are especially useful if you have a situation where a specific job or task needs to run to correct a failure on a node before the completion of the chain. They’re also helpful when you want to ensure that jobs such as backup jobs don't run concurrently. Ready to stop wasting time managing SQL Server and Windows events?